The LIBOR scandal is easily the biggest financial scandal in history. LIBOR (London Interbank Offered Rate) is used as a benchmark to set payments on roughly $800 Trillion worth of financial instruments, from simple mortgages to complex derivatives. It is set by a panel of 18 banks. There are several guilty parties that were involved with manipulating it. To fully unravel the extent of manipulation will take years. 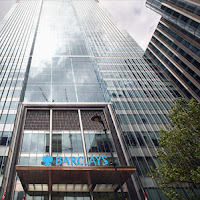 Guilty banks that have already admitted their involvement: Barclays, Citigroup, Deutsche Bank, HSBC, JP Morgan, Chase, Royal Bank of Scotland and UBS. Regulators from Canada, American, Japan, Switzerland, Britain and the European Union are currently collaborating to get to the bottom of the scandal. The Economist newspaper provides the best breakdown of what we know so far (links to the short and long articles). On the surface, it appears everyone was either in on it or had knowledge that it was happening on a daily basis. The reason LIBOR is so pervasive is because it is used to tell the entire world what the price of money is. It is the primary metric that determines what it costs to borrow money. So being able to move it down makes money cheaper and moving it up makes it more expensive. Let’s take an example using something we know. The Bank of Canada sets the bank rate – the rate at which all of our retail banks can borrow money from the government. The best rate we can get from those retail banks is known as the Prime rate. We use that as a point of reference for all other rates (ie. “prime plus 3%”). If someone were to manipulate the bank rate, it would inevitably be passed down to the end borrower. So while LIBOR is the rate at which banks lend to each other, its implications go far beyond that. This illustration from the New York Times shows how the price of money is pushed down to us and many other things in our lives. Barclays bank in England was the first guilty party. The evidence that has emerged from the Barclays investigation reveals two types of bad behaviour. 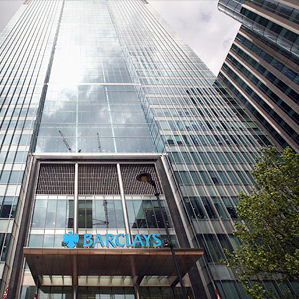 The first was traders at Barclays (among other banks) manipulating LIBOR to bolster their profits. This will inspire the most legal prosecution, and rightfully so. Imagine that a bank was involved in an interest rate swap taking the position that interest rates will go up. That same bank could then collude with the other banks in pushing that interest rate up through LIBOR. The manipulation is simple and direct for the winning party. But the ripples from these tiny movements in the interest rates are ridiculously large. On the one hand, you want banks to report the truth. On the other hand, during the panic of the financial crisis, if banks had reported the truth and disclosed that nobody was willing to lend to them at a reasonable rate of interest, there was a strong possibility that the crisis would have been exacerbated. It could have seized up the credit markets further and prolonged the panic – the last thing any government wanted to see at that time. Accountants like me love the real data provided by past transactions, because we can verify (and audit) that they actually happened. This is considered an old school way of looking at market transactions. Increasingly, information such as market sentiment or estimates of the future is used in favour of past transactions because such data is considered more relevant to decision making. Past transactions are stale. People argue that the past is irrelevant, and in this case perhaps proprietary. But when you lose all trust in the institutions that are in charge of such an important metric, historical transactions allow you to sleep at night. But what do we do about the damage already done? The lawsuits will continue to pile up in record numbers. Banks will argue that while all the losers will sue them, there is no recourse for the inadvertent winners of their manipulation. Other banks will cooperate with their governments to secure immunity from prosecution or lobby for their importance to the national economy (much like the “too big to fail” bailouts). The tobacco analogy is apt. When it became clear that the tobacco companies had suppressed information about the cancerous nature of cigarettes, it opened the floodgates to punitive legal action. The litigation was so large that the government eventually ended up protecting tobacco companies from being obliterated. Despite the huge settlements, governments limited the total liability tobacco companies were exposed to. Since the litigation process took several years, companies like Phillip Morris had time to diversify into non-tobacco products. If you wanted to destroy them, you also had to destroy a part of the food industry (Kraft foods is owned by Phillip Morris, for example). You would have to destroy jobs in the economy that had nothing to do with tobacco because that was where the money was deployed. In America, the courts ended up making an “envelope” settlement. In return for a giant financial penalty, companies like Phillip Morris were protected from any further tobacco claims after that point. Indeed, if this the “tobacco moment” for the almighty banks, history shows us it probably won’t be that bad. Like this scandal is done very economically by the planner and it could be done for getting the money. The scandal is so big that some of the blame is landing on the central banks as well. Because their is lake of financial advisor program module. Some people are not aware about the financial services and it could produce harm like this scandal.